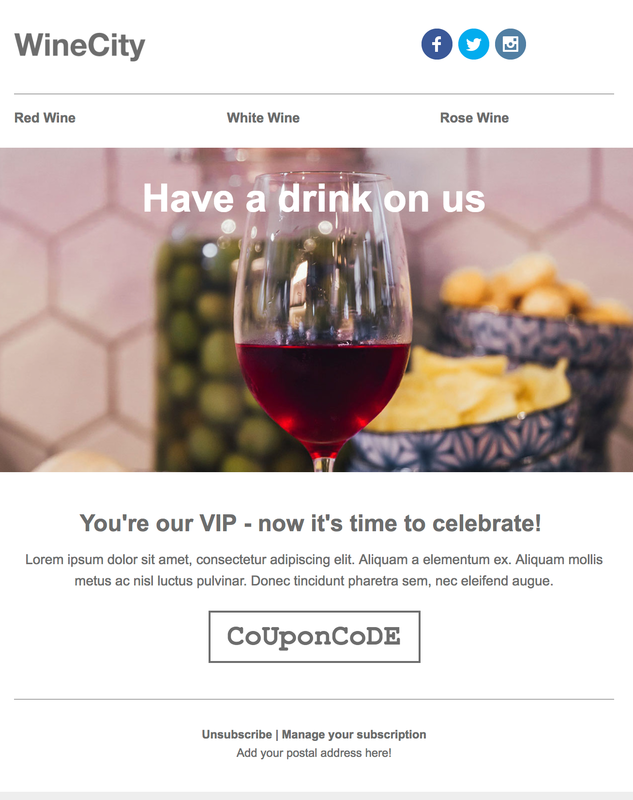 We recently added 15 individually designed email templates that you can send directly from your WordPress site thanks to our plugin, MailPoet. Most of our users don’t have a designer nearby to help them, so we’re bringing our designs to you instead. Take a look. 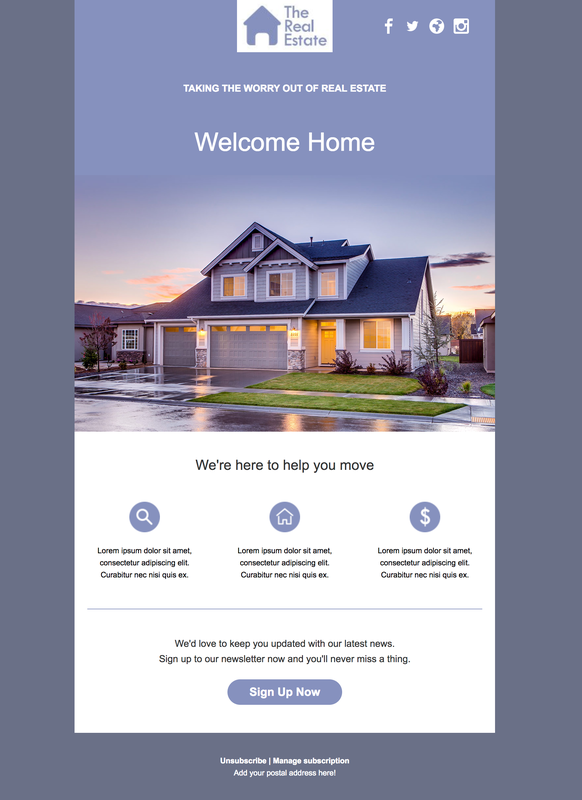 Simply put, templates are preset, a preconfigured set of options selected for design, readability, mobile responsiveness, and conversions. That’s why pre-designed templates are a joy to use around your content to give it a modern and fresh look and saving you time and sanity rather than designing from scratch. MailPoet already has a range of over 30 unique templates, from coffee stores and sports to Yoga and news and everything in between. All these templates designed with you, the user in mind. They are quick to get started with and simple to edit, making them an easy way to impress your email subscribers. You can’t edit the HTML behind the template order to avoid rendering issues across a wide range of emails clients which we test for. Also, note that these templates only work with MailPoet. They don’t work for editing default WordPress emails, such as password reset emails and the like. We are considering developing enhancements to MailPoet to allow the editing of WordPress emails, but for now, you would need to use a plugin like Email Templates. What Makes MailPoet Templates So Handy? 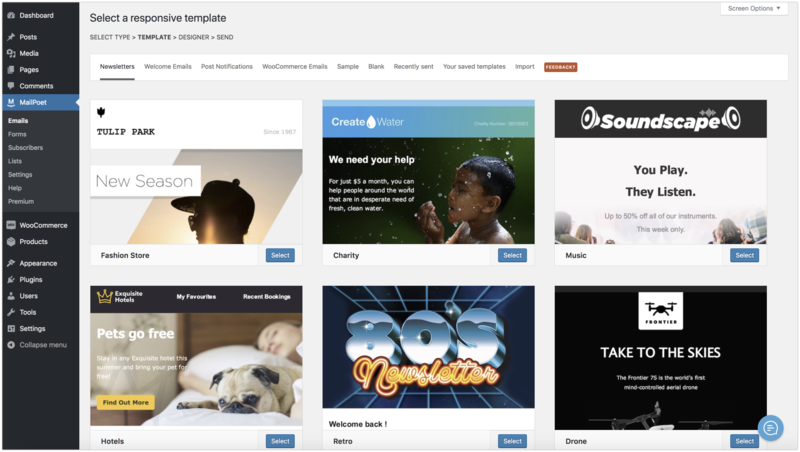 Time, MailPoet templates save you countless hours designing a template from scratch. Imagine starting from scratch with no styles at all and then trying to make that work across all email clients? Easy to use. 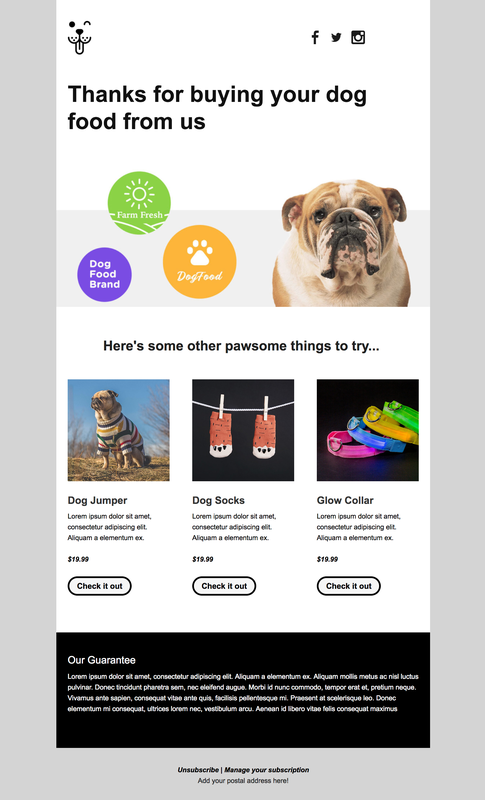 You can select a template and be up and running in 15 minutes or less from template selection through to sending your newsletter. There is no easier way to send your newsletter on WordPress. No code required. We created the newsletter editor, so you don’t have to fiddle with code, this also ensures that your email will get delivered as you intended with no pesky semicolons tripping you up. They work seamlessly across all email clients. From your iPhone to Outlook, to Gmail and every common email client in between. 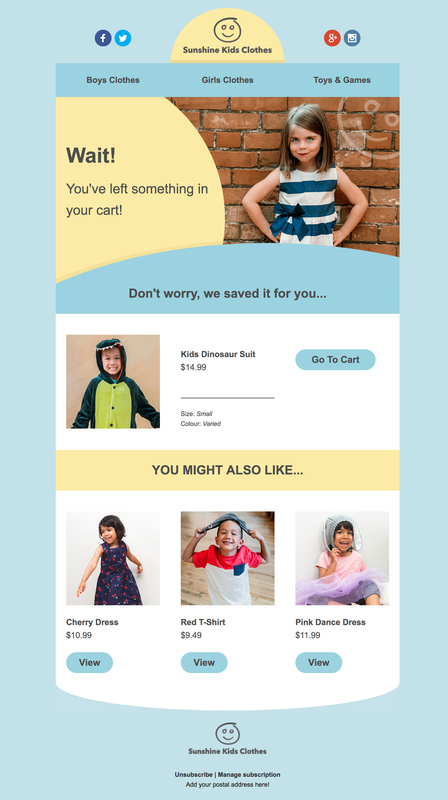 No matter what your subscribers use, the emails delivered look great. Beautifully responsive. Across desktop, laptop, tablet, and mobile with no stone left unturned. Simple stacking means that no matter how you’ve laid out your newsletter it’ll be in the correct order and work wonderfully. With using MailPoet email templates, a campaign can be created and sent in less than 15 minutes. 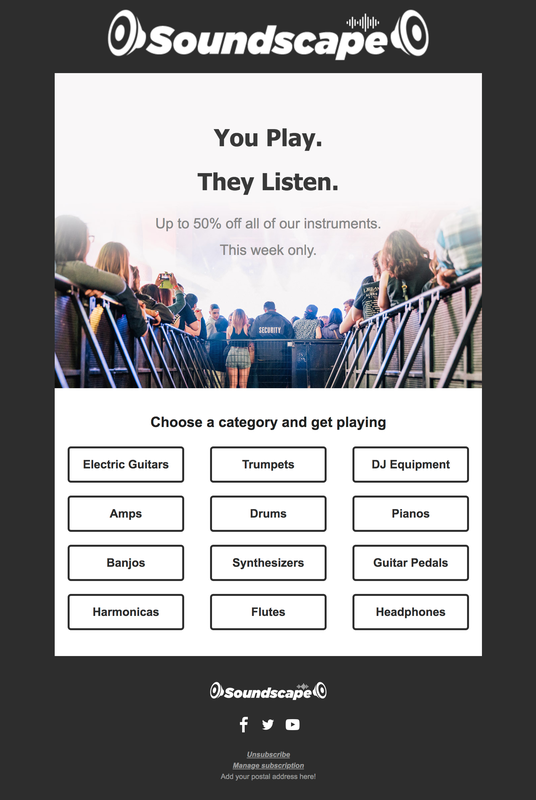 Selecting a new template couldn’t be easier for your newsletters couldn’t be easier. Just go to your wp-admin > MailPoet > Emails > New and select your template. Even if you use our existing templates, you can switch using the above method simply and quickly with no fuss. Will I lose my old templates though? And will my emails be messed up? No and No. Your existing emails remain intact. And all your existing templates will also be completely unaffected. Of course, there’s no obligation to use the new templates if you don’t want to. 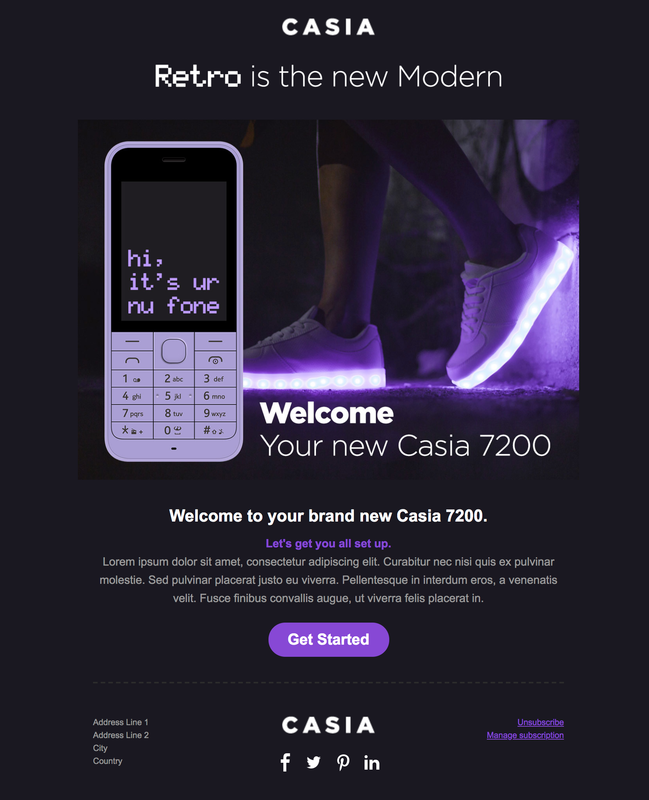 Email templates not only make your emails look better. They also make it easier to get started. Working flawlessly across all devices and display beautifully in all email clients. 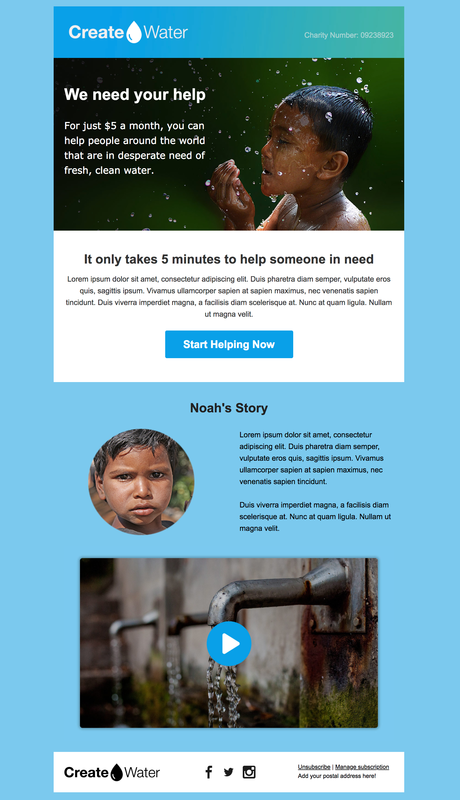 We’re planning over 30 new email templates designs at the time of writing. Let us know in the comments below if you have any designs you would like us to include in the plugin. Hi just saying that I love the new templates. 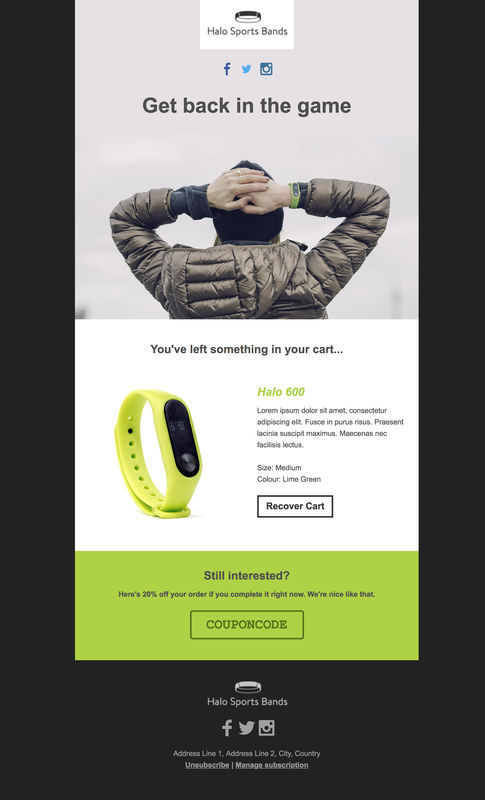 I do have a question about when mailpoet will bring the abandoned shopping cart and big spender emails templates out? All it say is coming soon. Hey Scott, sorry for the late reply! We’re working on WooCommerce in the first quarter of 2019. We still want to polish a few things in the current feature set first. A little patience, it’s coming! I would be happy with a template where the featured image is surrounded by the text of the post. The template was available in Mailpoet 2. Example. They do look very beautiful! Thanks! We’ll be adding 30 new ones in the next couples of weeks.